The Analytical Imaging Facility provides a comprehensive light and electron microscope imaging facility dedicated to bringing state of the art methods in modern imaging to biomedical scientists with all levels of expertise. The AIF staff has been cross-trained to offer a seamless transition from classical histology, to high resolution light microscope imaging in 3D, to state of the art electron microscopy. This unified approach facilitates the efficient and appropriate complementary use of these methods in research. For the infrequent user, the AIF provides a completely assisted technical support service. For the trained microscopist, the AIF is an available equipment resource. 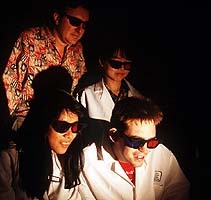 A significant effort is devoted to training investigators who require microscopy techniques to advance their projects. More on Dr. Condeelis at Dept. ASB. Advisory Committee Click here for list. JEOL 1200EX This instrument offers the highest basic performance as a 120 kv transmission electron microscope employing a uniquely designed 3-stage 6-lens imaging system. It offers operational ease, excellent image quality and high resolution at low to high magnifications. It is equipped with side entry goniometer stage, minimum dose system, bottom mounted high resolution Gatan video camera and side mounted wide angle Gatan video camera. JEOL 100CXII This high performance 100 kv transmission electron microscope features a cool beam electron gun, high image contrast, high-speed cascade differential evacuation, optimum underfocus system using an image wobbler and a side entry goniometer. Cryo Transmission Electron Microscopy for single molecule imaging. The College, HHMI and NIH (by way of an awarded Shared Instrumentation Grant) have supported establishing a full Cryo EM program. The technology spans the resolution range from electron microscopy to X-ray crystalography and allows for imaging of single molecules in their hydrated state. Please read more about the technology. JEOL 6400 This high performance Scanning Electron Microscope operates with accelerating voltage from 0.2 kv to 35 kv utilizing a high brightness LaB6 filament. It offers full keyboard operation, framestore with digital image processing and digital image capture on a PC running analySIS software. E mbedding utilizing either epoxy or acrylic resins at ambient or low temperatures. Thin Sectioning with a Reichert Ultracut E or Leica UCT ultramicrotome. Freeze Fracture using a Cressington CFE-50 Freeze Etch Unit. 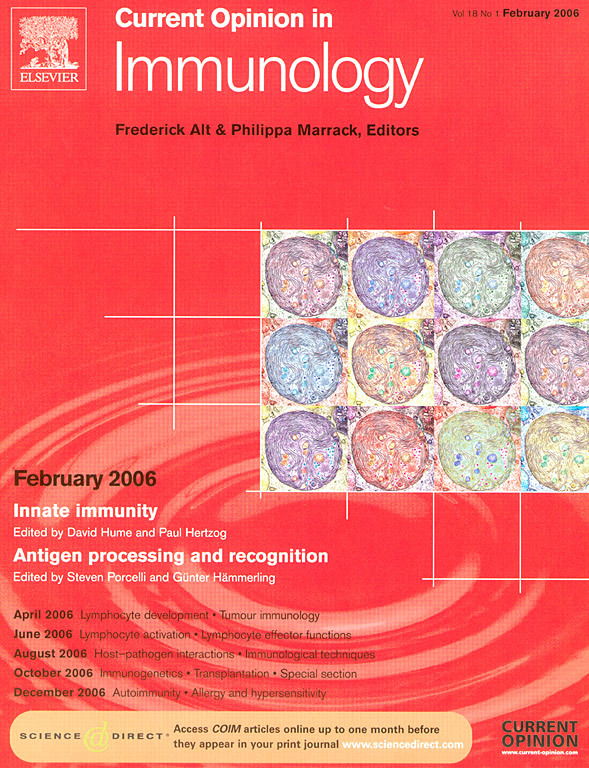 Immunogold Labeling following pre or post embedding protocols. Critical Point Drying with a Tousimis Samdri 790 Critical Point Dryer and Sputter Coating using a Denton Sputter Coater for preparing cells and tissues for SEM Imaging. Cryoultramicrotomy utilizing a Leica UCT cryoultramicrotome for optimizing epitope availability and morphological preservation for immunogold labeling. Slam Freeze Cryofixation using a Life Cell CF100 Slam Freezer, which can be followed by High Resolution Rotary Shadowing in a Cressington CFE-50 equipped with e-beam guns for platinum or tungsten-tantalum evaporation. Slam Freezing followed by rotary shadowing is a powerful technique to obtain high resolution images of cells or macromolecules in 3-D, that have been frozen in the hydrated state. Slam Freeze Cryofixation using a Life Cell CF100 Slam Freezer followed by Freeze Substitution and Low Temperature Embedding in a Bal Tec FSU-010 Freeze Substitution Unit. Freeze Substitution is an alternative method for optimizing epitope preservation for immunogold labeling. The AIF offers a photographic service for producing high quality electron micrographs on conventional photographic paper or high resolution scanning and direct digital printing for poster, lecture, web and journal publication. A Zeiss AxioSkop II with optics for brightfield, darkfield (through the condenser or via true oblique illumination), phase contrast, Nomarski, polarized light and epi-fluorescence with1.25X through 100X objectives serves as the "routine" microscope. Images are recorded with a color Zeiss AxioCam. To meet the growing demand for imaging of live material, epecially of eGFP or other fluorescently tagged cells, or of cells in culture dishes, the AIF has Olympus inverted microscopes with a wide array of optics and photography options. On other inverted systems in the AIF researchers continue to use video digitizing technology for imaging motile cells in phase contrast. Newer model of SP2. Arriving late December 2007. For installation in new satellite facility on second floor of Michael F. Price Center for Genetic and Translational Medicine in the Harold and Muriel Block Research Pavilion in January/February 2008. Preferable for imaging live cell cultures due to reduced phototoxcity, thin optical sections may be imaged as time lapse volumes. The 9 fps full field 12 bits imaging system has laser lines at 488, 568 and 647 nm for exciting three popular ranges of fluorescent probes, a piezo for high speed and reproducable Z axis control, environmental control and Nikon optics. Expected move to new satellite facility on second floor of Michael F. Price Center for Genetic and Translational Medicine in the Harold and Muriel Block Research Pavilion in January/February 2008. Fluorescence Resonance Energy Transfer, the transfer of energy from a donor fluorophore within 7 nm of an acceptor fluorophore, can be used to measure binding interactions between and within molecules. The AIF provides acceptor bleaching for FRET imaging and measurements on three confocal microscopes and ratio FRET with widefield microscopy. Widefield FLIM in the time domain using a gated cooled CCD camera with LaVision software may be available. Total Internal Reflection Fluorescent microscopy provides excitation of fluorophores only within 100 nm of the subtrate. Therefore, only molecules immediately apposed to the coverslip are excited and imaged. Objective illuminated TIRF is provided on an Olympus IX71 with either a 60X or 100X N.A. 1.45 or a 100X N.A. 1.65 with capability to do TIRF/FRET using probes over the visible spectrum from CFP through red. Image collection and automated shuttering are provided with an Andor EM camera and Uniblitz shutters running under IPLab. EPR deconvolution complements the other deconvolution techniques offered at the AIF by providing preservation of the total energy of the sampled volume for quantitative analysis of very dim specimens. Automated imaging of multiply probed serial optical sections is performed with a piezo controller and a Photometrics 15 bit cooled CCD camera on a high efficiency upright Olympus microscope. This is a specialty technique to image single or few molecules with precise locating within 70 nm. High speed (200 FPS under bright illumination), real time (30 FPS video), or time lapse (approx. 100 ms to hours) imaging with fluorescence and transmitted light can be performed on inverted microscopes with temperature regulated environmental chambers. Images can be made into movies for video or web presentations. Sophisticated morphometric measurements may be made over time. Quantification of images includes intensity changes of fluorescence, changes in cell or particle velocity, direction, shape and size over time and schematic visualization of such changes. In some cases, volume changes can be measured. For 3D rendering or reconstructions the staff operate and train Imaris Bitplane, Voxx, a number of plugins within ImageJ and Volocity. The staff train investigators in more simple 3D imaging and quantitation via analysis of serial sections with ImageJ and I.P. Lab including the authoring of scripts for automation and result reporting. Uncaging is the activation by removing a photo-labile blocking group from DNA, RNA, protein or small molecules. The uncaging station consists of an Olympus IX70, two Hg arc lamps for UV uncaging and epifluorescence, UV corrected and phase contrast optics for uncaging and viewing cell behavior, shutters for high speed and timed uncaging and image collection, and a Cooke Sensicam for recording uncaged fluorescence. This system shares a microscope with a microinjection apparatus for ease of loading cells for live experiments. A 337 nm laser with has been purchased for the system and is under development on a separate microscope stand in the Biophotonics Innovation Laboratory. On all imaging platforms, digitized picture files are in standard formats and can be converted easily to other formats; data can be exported to other computer systems or reproduced on a variety of hard copy devices. Adobe Photoshop CS is most widely used for figure preparation and we are happy to assist. A Fujix Pictrography 3000 color printer makes continuous tone output at 400 PPI indistinguishable from real photographs. Standard laser printing can be used for draft grayscale as well as for crisp graphs and text. Both still images and moving sequences can be prepared for web presentation. The AIF maintains in its inventory tools for video; however, use is by special appointment as video is being phased out. Most routine image analyses run on Windows XP PCs. A Mac G4 may be available by special request. Cryo EM technologies are being developed on Linux PCs. 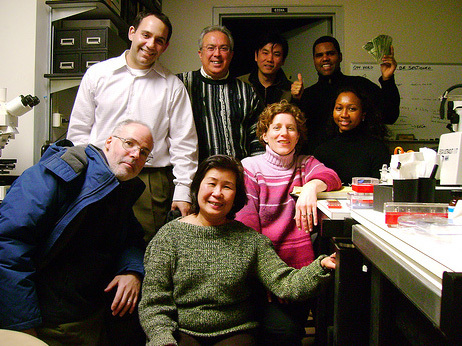 The AIF staff are happy to assist with any software but specialize in ImageJ, I.P. Lab, Lasersharp 2000, LCS (Leica confocal), Microsoft Excel, Adobe Photoshop, VOXX and the 3D/4D portion of Volocity. Windows XP serves all administrative needs. Researchers may transfer data to their own computers via ALNET, by burning DVDs/CDs or by supplying their own Firewire or USB hard drives or memory keys. Most computers are networked to ALNET to send data over the Internet. All equipment is available on a first come first served basis and at an hourly rate billed per quarter hour; routine light microscopes are available at a yearly fee. Investigators may use the equipment unassisted or they may have their work performed for them. This shared resource / facility is administered and partially supported by the Cancer Center and partially supported by the Marion Bessin Liver Research Center at the College. This page maintained by Michael Cammer for the Analytical Imaging Facility. Send comments, suggestions, etc. here.